Julia's Pick: Goodreads makes my life a hell of a lot easier. When I go to write a review and I want to get the summary or the publishers information, Goodreads has it all right there for me! I usually have Blogger open in one tab and the book page for Goodreads open in another. It is my favorite book site! Julia's Other Pick: Rafflecopter is GREAT for holding contests. I like entering with it and I like using it when I am hosting my own contests. I still put in the fail safe of email entries if for some reason a user is not able to use the widget, but I think I've done that twice or so. It's a fantastic tool. Jamie's pick: Audiobooks -- It really helps me to squeeze in a little extra reading time while I'm commuting, cleaning or working out. Jamie's pick: Google calendar: I don't know what I'd do without the Google docs calendar for TBTB. There are quite a few of us so it helps us to stay organized and know who has what due. I use it for my own blog also but not as much. Having a calendar helps me plan out what I want to do so I can get into beast writing mode when I'm ready to sit down. Jamie's pick: Tweetdeck & Hootsuite: I hate the Twitter web application but I looove Tweetdeck! I hate the latest updates but whatever still useful! I use Hootsuite to really schedule tweets and Facebook posts for when I know I'm not going to be able be on to tweet posts. Jamie's Pick: Feedly: After Google Reader died I never thought I'd be whole again but OMG I LOVE FEEDLY. There are some less than perfect things about it but I hope as it grows those will be ironed out! Jamie's Pick: Instagram &VSCOcam: Love these apps to prettify my pictures of books! Tahleen's pick: NetGalley and Edelweiss. True, these awesome galley resources aren't necessary if you are a book blogger, but if you're at all interested in getting free copies of yet-to-be-released books, they are KEY. I love being able to browse what's available and share my thoughts on new titles. Tahleen's other pick: The library. Because this is where I get all my other books for free. I don't think I've paid for a book in print for at least a year, if not longer (e-books are another story). Maybe once or twice at a signing, but really, that's it. I get all of my audiobooks (digital and on CD), print books, and a few e-books at the library. It helps that I'm a librarian, but still. 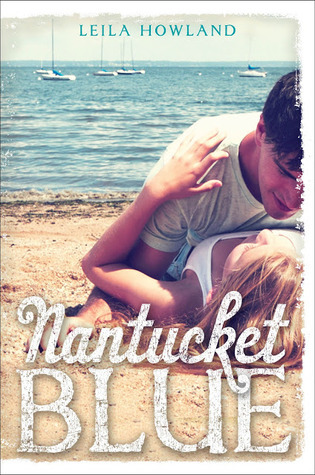 Jen's Pick: Other book bloggers make booking blogging easier! I love reading other bloggers reviews (everyone has their own unique style which is awesome) and you really do discover some great books. There are SO many wonderful books I doubt I'd ever pick up if it wasn't for other book bloggers! What things make your life as a blogger easier/better? Augh! Accidentally double entered. My apologies! I totally forgot about Google calendar - but yeah, that completely helps! Great list, I have a few of these on mine, too! I love Tweetdeck too, I don't think I could stand using Twitter without it -especially during parties! I really need to check out Hootsuite, I've heard about it before but it sounds a lot more useful than I've given it credit for if you can schedule tweets with it! That'd be handy! The library is my top thing. It's an absolute gem of a resource and I couldn't picture not having access to it. I really love this week's topic! It's very interesting to see what everyone includes. Thanks for another fun question! I had to really think about this one! Goodreads, and netgalley are on mine as well. Here are my Top Ten . I've tried audiobooks, and I like them, and I like the ability they give me to multi-task, but for some reason, I just can't fully commit to them! Partly it's because my free selection doesn't have the ones I want to listen to available. I'm a cheapie. Agreed on so many counts. I love my library. I rarely buy print books anymore either and if I do I buy second hand and only if I've already read and loved it. EW and NG and GR are definitely my favorite sites. And I love other bloggers! It's the best community to be a part of. It's interesting to see what you find useful as a blogger. I didn't think to include Rafflecopter or NetGalley. WHY didn't I say audiobooks too?! That's brilliant - I always have one going in my car, and it has made my 35-minute commute to work (and then home again) so much more enjoyable. Good call on that one! Oh my gosh, how could I forget Rafflecopter? I don't use Feedly but Bloglovin' is SO helpful. Wow, I can't believe I forgot so many!!!! It's cool how many of these are on my list too! I haven't considered google calendar as my go-to calendar, but it's worth checking out, as are Tweetdeck and Hootsuite. Love the topic this week! You all have number of things I didn't even think of! 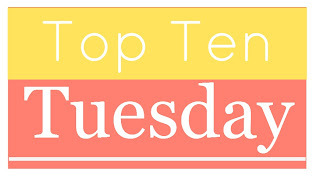 That's what makes Top Ten Tuesday so fun! I have to say I don't like Rafflecopter...mostly because I'm not using twitter or facebook for my blogging--maybe I'll have to change that?!! I had many similar to you! Thanks for sharing this. I guess I could retry using Google Calendar. Last time when I tried it it was really hard to sync up. Also I totally spaced putting NetGalley on our list. We split ours up for 5 of book reading easier and 5 of blogging easier. Google calendar is on my list too. Great list. I would have to completely agree on them ALL. Other bloggers have been a great help. I have found so many book recs from reading their reviews and have been able to get to know so many awesome people! I've heard good things about Feedly, but I've yet to check it out. We have a lot of the same ones in common! Goodreads is definitely a biggie for a lot of us. I don't know what I would do without it! Great topic! Great picks! I picked Goodreads, NetGalley & Edelweiss, and the library too. But how did I forget Rafflecopter? And audiobooks definitely make some of my reading easier... or rather, they let me 'read' when my hands and eyes are otherwise occupied. I love Hootsuite app for my phone. It's really easy to use. I keep myself organized using the calendar on my iPhone since I do most of my blogging using my WordPress app. 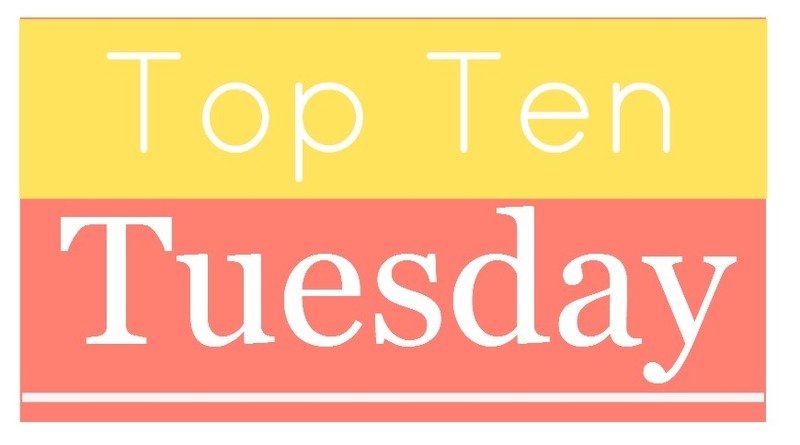 I really enjoyed this Top Ten Tuesday, and a lot of your guys Top Ten was really helpful, because I am a new blogger myself. Goodreads, netgalley and the library!!!! Heart them! I really need to organize and Google calendar sounds like just the ticket!